The MUTANTS bombard the WARRIOR MAIDENS’ Treetop Kingdom with liquid fireballs mechanically launched from their new Firethrower. TYGRA becomes invisible and sneaks into Castle Plun-Darr through the moat to investigate. He loses his bolo, becomes visible and is strapped to the Four Winds catapult device by the MUTANTS. LION-O, SNARF, and WILLA, aided by WILLA’s pet spider, BUSHY, scale the walls of [Castle] Plun-Darr and rescue TYGRA just in time. 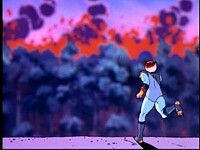 The MUTANTS accidentally explode their own serpent’s head fuel room in their attempt to catch the fleeing THUNDERCATS. The extremes of enmity and friendship are contrasted in this episode. The Mutants’ indifference and disdain for the Warrior Maidens lead them to use the Treetop Kingdom as targets to perfect their weaponry. Willa reflects bitterly on how innocents are often victimized when wars break out. 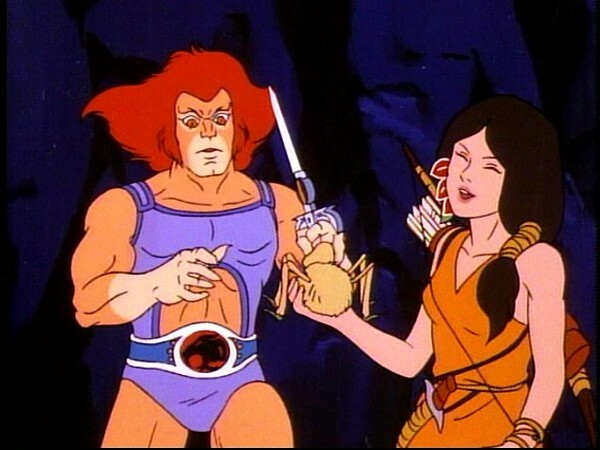 In contrast to the Mutants’ disinterest are the sentiments of Tygra and Lion-O. Tygra is indignant over the firebombing and resolves to help the Warrior Maidens. 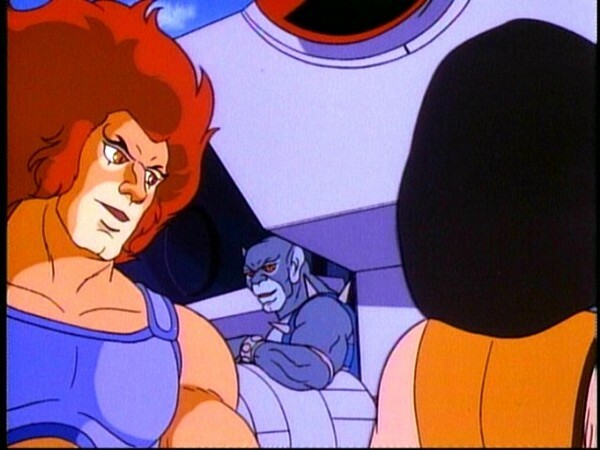 Lion-O expresses marked concern and vigilance for his friend Tygra, as he is unable to take his safety for granted. In the end, by acting on their concern for others, they are able to destroy the Mutants’ fireball launcher and affirm their friendship with Willa. It is often easier to avoid becoming caught up in the plight of others or to take it for granted that things will work out. But friendship carries with it the responsibility of not remaining indifferent or passive in times of need. It also demands that we remain vigilant in our empathy for our friends and willing to take an active role in helping them. 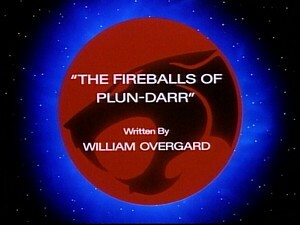 Few would argue that William Overgard contributed some of the ThunderCats series’ weakest offerings—the further into writing for the show he got, the more bizarre his episodes seemed to become. However, for me, this episode requires that the whole body of Overgard’s work be re-evaluated, because this story borders on flawless. The episode grabs your attention instantly from the first few seconds, showing the Warrior Maidens’ Treetop Kingdom ablaze and Tygra racing to the scene of the fire, and never once does it release its grip—the entire story is captivating and riveting. 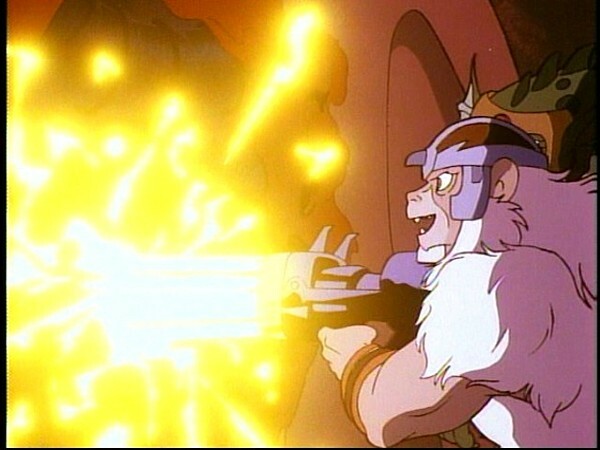 The Mutants’ firebomb launcher feels like the most real and tangible threat we’ve seen in the series so far, and the scene where the Mutants make to execute Tygra by strapping him to the Four Winds makes for one of the most realistic and potentially graphic plot twists in the series thus far. 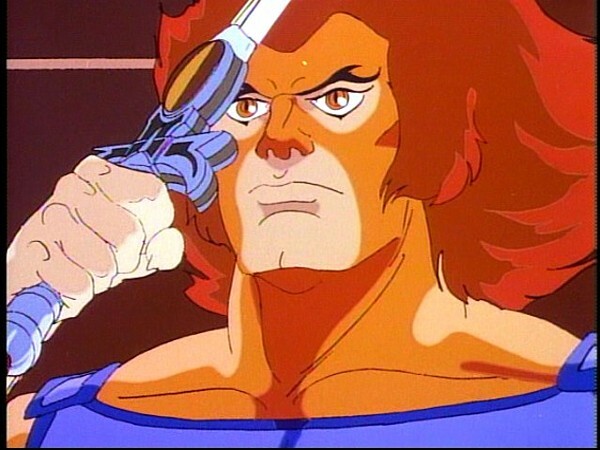 One of the most realistic elements of this episode is seeing the Warrior Maidens caught in the middle of the ThunderCats’ conflict with their enemies. This continues a theme begun in “Trouble with Time”, where we see Willa and Nayda react almost with xenophobia to these alien newcomers, and where they initially fail to differentiate between the two factions, treating them all as enemies. Although it’s evident in this episode that Willa has warmed up to the ThunderCats, nonetheless it’s also clear that she still resents her people being caught in the crossfire between the two parties. Indeed, something that makes this episode brilliant is that it is actually not hard to understand and sympathize with Willa’s resentment. In her speech to Tygra, she states that trees that have lived for a million years have been destroyed within a matter of hours. 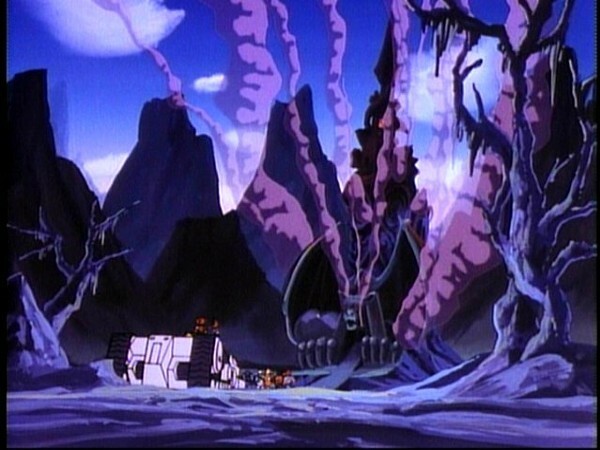 This is a stark illustration of why she should harbor such resentment, because, without the arrival of the ThunderCats and Mutants on Third Earth, those trees would still be alive. This is a highly clever writing device, for in children’s animated series from this period it was frowned upon to show characters dying, so instead the innocent deaths portrayed in this episode are those of the trees. Seeing the spotlight focussed so firmly on Tygra and Willa in the first half of this episode is a joy to watch. 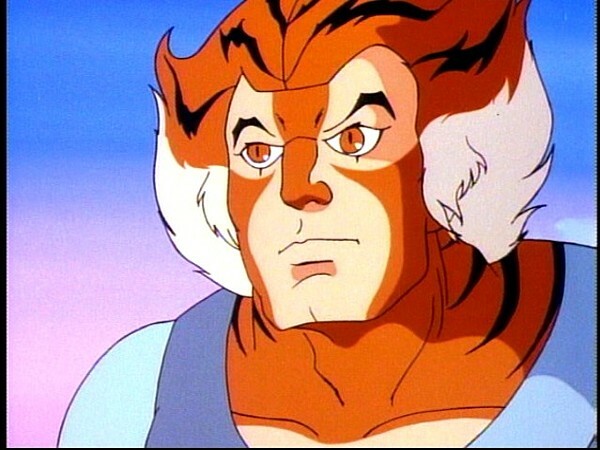 One of the strengths of ThunderCats was how the series managed to portray women as strong without compromising their femininity—something they did outstandingly well with Cheetara—and in this episode they repeat that success with Willa, who is a confident and driving force, never playing the damsel in distress, but rather helping to save the day through her ingenuity, all while balancing that queenly hibiscus behind her ear. It’s also refreshing to see Tygra in a strong lead role, in contrast to his last spotlight, “The Garden of Delights”, where we see him fall foul of Mumm-Ra’s addictive fruit! This episode is also a great showcase for the Mutants and the threat they pose to the ThunderCats, and this conflict is portrayed very realistically. 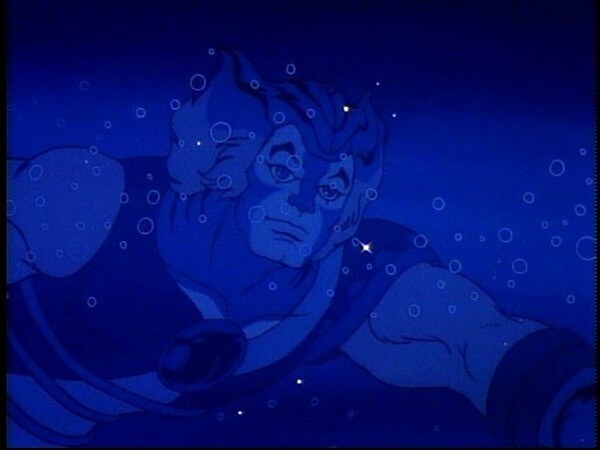 The ThunderCats are concerned about the potential shift in the balance of power caused by the Mutants’ recovery of their wrecked spaceship (as shown in “The Spaceship Beneath the Sands”), and so Tygra goes on a scouting mission, thus explaining why he came to be in the vicinity of the Treetop Kingdom. In this episode we really get the feeling that the Mutants achieved the objective they hoped to achieve in their last appearance two episodes earlier, and have been able to use their spaceship to enhance the danger they present to our feline heroes. The Mutants rarely feel as great a threat as they do here, and it makes this episode stand out from the rest of the series. Any gripes that I can find with this episode would be minor nitpicks. 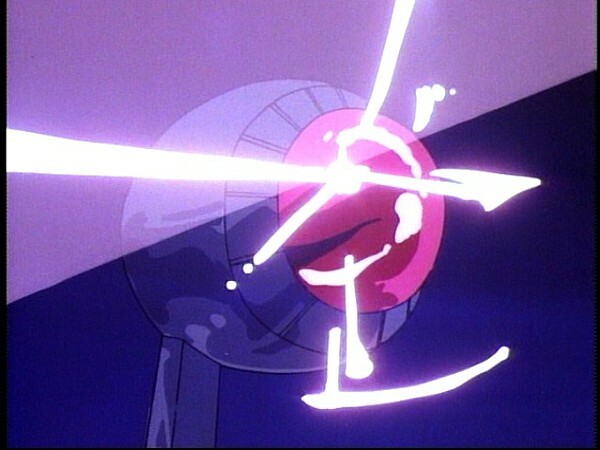 For example, Panthro’s somewhat unrealistic reference to a baseball, which is an object (and likewise a sport) that the ThunderCat engineer would be unlikely to have encountered. This aside, this episode boasts beautiful animation, a wonderful plot, memorable dialogue, terrific action sequences, and some great character interaction, and as such is one of my personal favorites. 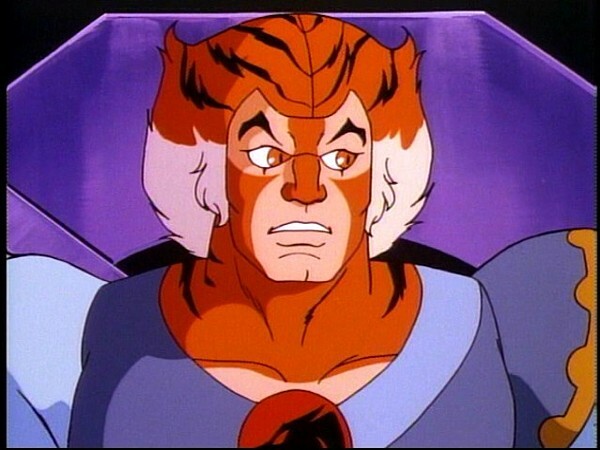 Like I said at the start, William Overgard contributed some of the ThunderCats series’ weakest offerings. This is definitely not one of them. In this episode, Tygra swims invisibly through the moat of Castle Plun-Darr for an extended period, but then loses his whip and becomes visible once trapped. In “Safari Joe”, it’s revealed that Tygra actually cannot swim when visible! During the scene where S-S-Slithe attacks Tygra whilst piloting the NoseDiver, we get a rare glimpse of the Reptilian leader without his headpiece! During this episode we see that the three Mutant leaders have once again been joined by other Reptilians and Jackalmen (though no additional Monkians), whom Lion-O, Tygra and Willa must fight off in order to reach the firebomb launcher. No explanation is given as to how the other Mutants came to join their leaders, but one theory is that the Mutants were able to radio for assistance using equipment from their recovered spaceship. 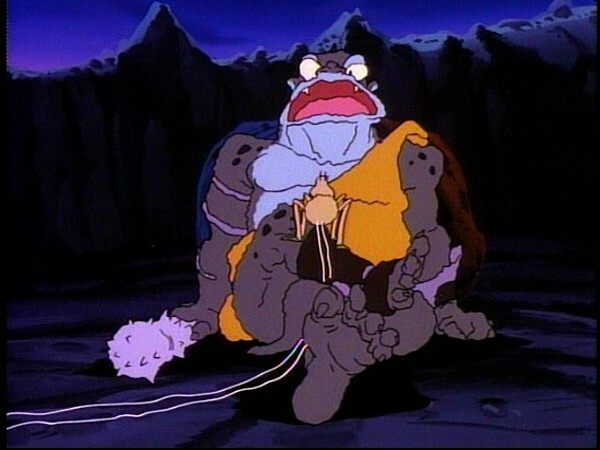 In the closing scene of this episode, Panthro initially wonders whether Bushy, Willa’s giant treetop spider, is a “hairy baseball”. This raises the question, how would a Thunderian know what a baseball was? In the same scene, we also learn that Panthro hates spiders!